Are you looking for new, high quality and lightweight medical doors for hospitals or for any other space, where patient care is important than anything else? Are you looking for the best range of medical doors to create a serene environment? Such questions are very common among hospital management and they look for light weight doors with unique frame sets. High grade, light weight and advanced medical door are designed by combining modern design with exacting engineering and regulatory requirements for high-use area in hospital with unique structure design. They are known for efficiency and durability. There are a number of added benefits of using high grade and latest medical doors – mainly to create serene environment. If you are looking for such latest doors, you will have some better options to fulfill your requirement by reaching directly to the top manufacturer. They have specialization in door, partition and wall panels, brings to you high quality and durable medical doors and hospital doors that come with combining modern design with exacting engineering and regulatory needs for high use area. They come with the installation efficiency of 3-4 times higher in comparison to traditional doors. Medical doors are designed specifically for hospitals and medical institutes with bigger and wider opening for modern hospital doors. 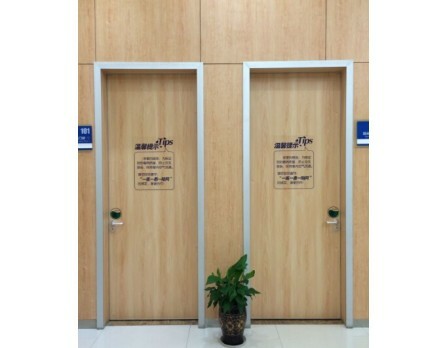 You can choose patient room door, steel ward door, ICU door and hermetic door, aluminum frame glass entrance doors to x-ray door and UL Listed Fire door. They are made of high quality aluminum and other materials by using advanced technique. Skomdoor has been offering you the best range of medical doors that are easy to use and come with a number of added benefits. Placing your order is far easier and hassle-free. So, what you are looking for, place your order now and get the best range of medical doors.